Would you like to use the pump immediately? This is made possible with the discharge hose from our PROMO deal. 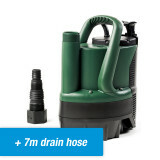 This hose is easily attached to the pump, so you can get started immediately. The DAB Nova Up 180 M-NA is the ultimate submersible puddle pump for clean or slightly dirty water, capable of draining areas to 0-1 mm. 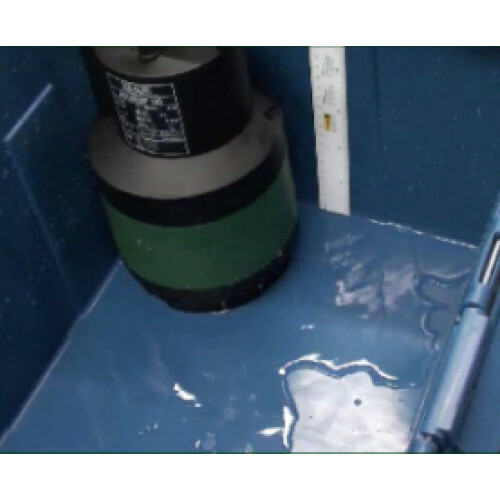 It is rightly called a puddle pump and is the only one of its kind capable of draining spaces that dry (see video below). The top outlet allows the motor to cool sufficiently. 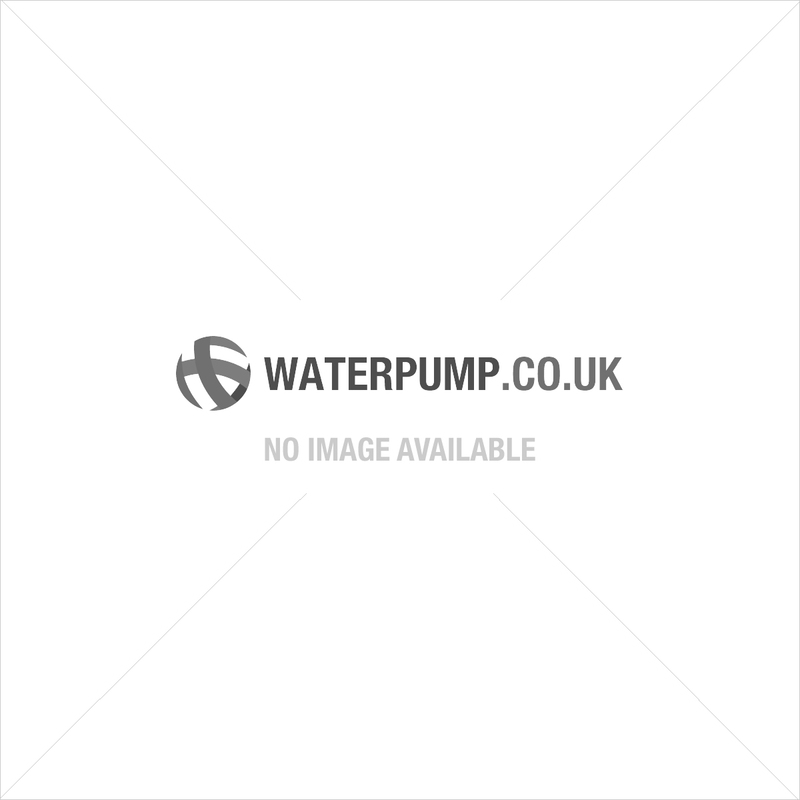 The pump is not fitted with a float and therefore can be set up conveniently in very small areas of 16cm in diameter or more. What makes the DAB Nova Up 180 M-NA unique is that this pump has an air outlet. Once all the air has been released, the pump will start operating at full power. 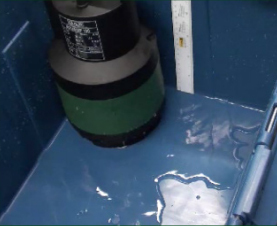 The pump can also be used from 5 mm of water and up, which makes it suitable for practically any situation that involves flooding. By removing the strainer, the DAB Nova Up 180 M-NA can also be used as a puddle pump. The strainer can be removed easily, using a screwdriver to disconnect it from the three recesses. The DAB Nova Up 180 M-NA is then placed directly on the surface and can serve as a puddle pump. This pump is not fitted with a float switch, which means that it does not switch on/off automatically based on the water level. 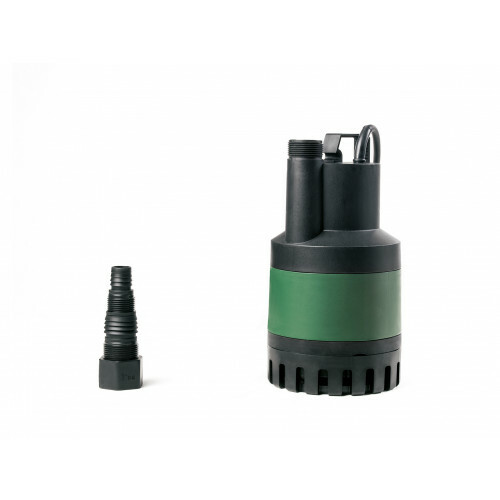 If you are looking for a pump that switches on/off automatically, you can opt for a submersible puddle pump with a float switch, such as the DAB Nova Up 300 M-AE. Drain a space or swimming pool to 0-1 mm of water, leaving it 'mop dry'. This pump is a puddle sucker. 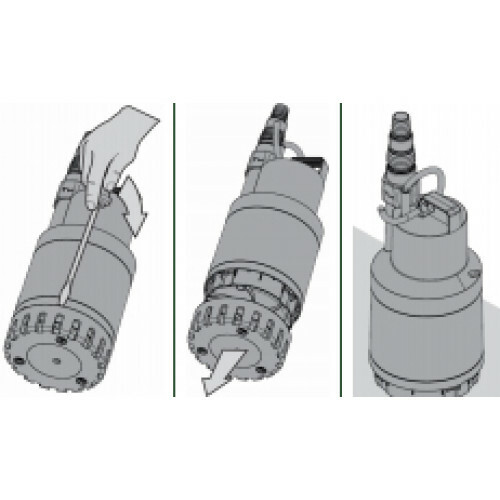 Not every submersible pump is a submersible utility pump or puddle sucker. 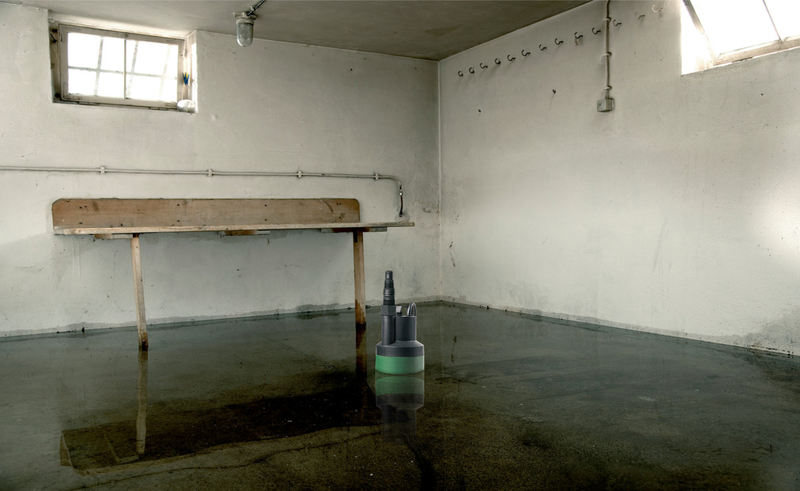 If you're experiencing flooding and want to pump a room until it's 'dry', you need a submersible utility pump. Some pumps can even pump down to a water level between 0 and 1 mm. Usually, such pumps are used in basements or crawlspaces. 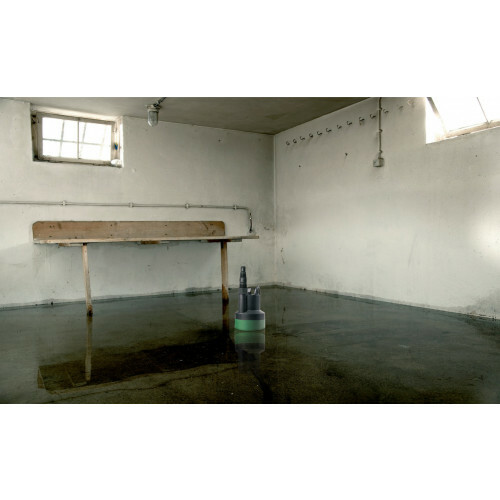 Groundwater can well up and flood your house or garden. These pumps offer the perfect solution. 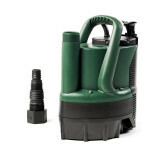 A submersible utility pump can be used in two ways. If it has a float switch, the pump can pump water out down to a level of about 4cm. 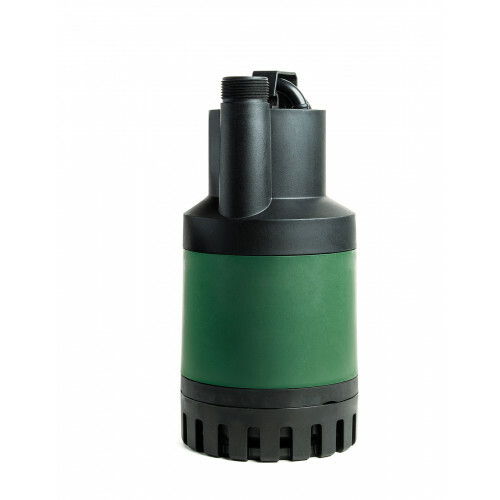 Only in its manual setting, can the submersible utility pump continue to pump until the area is 'dry'. You will need to switch off the pump manually when it's no longer taking in water. This is important, as the pump cools itself with the water it pumps. In order to prevent damage, a pump can therefore only pump to a 'dry' level in manual mode. Switch level This pump does not switch on/off automatically based on the water level (no float switch). 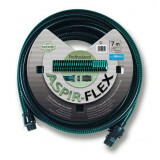 I ordered this to clear some groundwater out of my cellar and I found it very efficient and easy to operate, especially as I had never had used similar equipment before. It pumped all the the water away very effectively in about 30 minutes. My well is small, but it quickly fill up with rainwater. The process of submersing the pump in the well takes longer than simple draining it. Quick and easy. There's no better solution. Finally a pump that does the job. A little mopping afterwards and the swimming pool floor/bottom is completely dry. Super. Simple to operate. Performs as promised. Unfortunately, this site offers no submersion system for this pump. Used once in a flooded cellar. Works great, practically dry. Performs as it should. Easy to use. This 'puddle pump' fully meets our expectations. The accompanying manual is very complete. We hope to put the pump away for a long time and know it will come to our rescue when needed. Highly recommended! Efficient and speedy delivery! 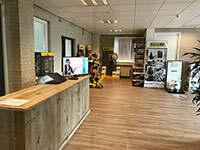 Dab pump excels in its performance. Excellent device; highly recommended! I've had many DAB pumps in the past and therefore advise everybody to get this model. I've had very expensive DAB pumps for a variety of purposes. They perform great, even with heavily contaminated water full of bits. I was afraid I would ruin this device. But NO way. It's simply THE BEST QUALITY pump I've ever had. This is easily the best out of three pumps in this price range (€ 200–€ 300) I've ever had. 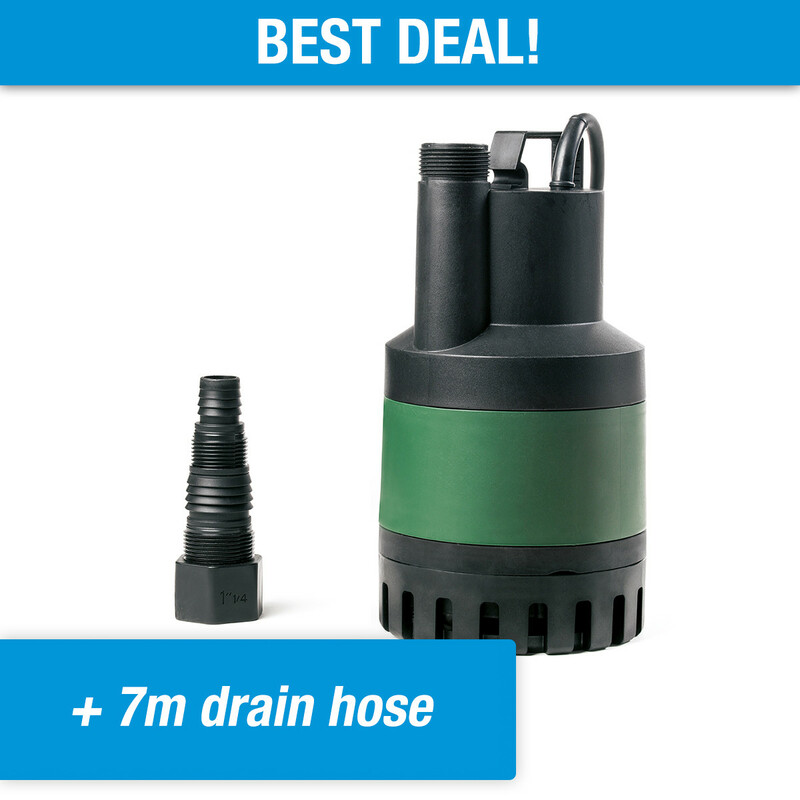 Perhaps not the largest capacity, but definitely the best puddle pump that actually drains dry to 1 mm. Very quiet and with dry-running protection! After an initially wrong order, I was helped instantly by the service desk person. Setting up was a piece of cake. No problems whatsoever with the 10m discharge hose I ordered along with the pump. I hope to use this high-quality pump for a very long time, because my cellar needs to stay dry. I face the winter with confidence. The groundwater will rise again and I know this pump will do an excellent job!!! The pump was purchased after the flooding, so I haven't used it yet. Tried it briefly. Test result (with suction grid) was excellent. A bit surprised that water ran back after the device had been switched off. Probably from the pump itself, because the non-return valve had been installed. Service was beyond good. Problem was a thin layer of water in a large underground canal network. Found the Dab Nova up 180 Mna and the Waterpompshop through Google. Purchased this pump after some personal advice by the shop. Arrived within a day. Used it and it also extracts dirty water. Perfect! We use water pumps on a daily basis and this model proved ideal from start to finish. It saves a lot of manual work and drains practically dry. Are there any other pumps with a higher capacity? Bought it to replace a Gardena pump. This device does an excellent job. Drains more water from the cellar. I used to have a pump that actually worked great until last year. After having read this pump's description, I decided to switch to this model. I don't know much about water pumps, but am more than pleased with the result. I just received the pump and have tested it quickly. I also watched the video and feel this device is ideal for our cellars. We always had a small layer of water that we removed manually, but this pump seems to take it one step further. The pump appears to be solid and of a good quality. Not unimportant, because we've also had pumps of the 'you get what you pay for' type. Thanks ever so much for the video, which has convinced me. I've used this pump in a flooded space at home. It drains practically dry! Mopping twice and Bob's your uncle. The small grid is easy to remove. I think you then can convert it into a regular clean-water pump. I had already heard of the nova up and I'm glad I managed to find it.